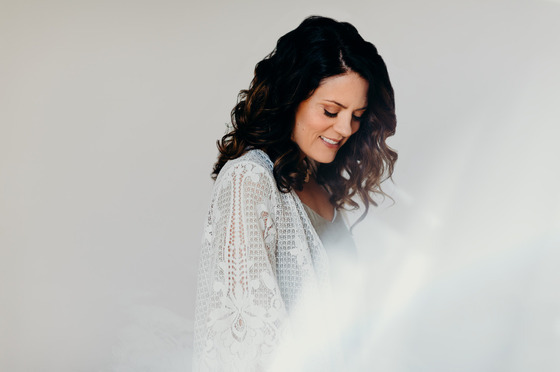 Nashville, Tenn. (Oct. 03, 2017) - Singer-songwriter/worship leader Christy Nockels released her newest album, Be Held - Lullabies For The Beloved on Friday, bringing hope to families nationwide. A collection of 15 songs intended to encourage parent and child alike, families have shown an outpouring of response, taking to the internet to express how this record has encouraged them, with the Christen Krumm Blog saying "From one mother to another, thank you, Christy. This album is amazing, and I’m looking forward to sharing it with my daughter," with Christen Bohanon calling it "Balm for every soul, lyrically poetic and musically brilliant." Author and speaker Rebekah Lyons had this to say, "There's a sacredness in being KNOWN as a child; seen, safe, secure, and loved. This album isn't just for your children, it unveils your own childhood," while blogger Anisa Darnell shared this heartfelt message, "I cannot tell you all how much these beautiful words and melodies mean to us as they play through our home...this collection of songs is such a timely blessing I pray many will hear." With such an overwhelming response, Be Held - Lullabies for the Beloved has been a mainstay at No. 1 on the iTunes Christian & Gospel chart since its unveiling. Be Held - Lullabies For The Beloved is available now at iTunes, Spotify, Amazon, Google Play, and more. Christy Nockels is a worship leader/singer-songwriter who lives Franklin, Tenn. with her producer husband Nathan Nockels (Passion, Matt Redman, Laura Story), and their three children. Christy and Nathan toured nationwide for several years as the duo Watermark, recording four acclaimed albums together. In 2009, Christy released her first ever solo album, Life Light Up followed by a 2012 sophomore release Into The Glorious and a critically acclaimed live worship album Let It Be Jesus in 2015. With GMA Dove Awards to her name, Nockels unveiled her first Christmas project, The Thrill Of Hope, in the fall of 2016. Her new album, Be Held -Lullabies For The Beloved is available now.